At TTANTI we know experiences are what shapes a person’s soul. Yes, it’s definitely a balance between nature and nurture, but the way you structure your life and walk through your own personal journey your soul and forms you into the person you are. We might have natural tendencies, but sometimes what happens to us and what happens around us and what we voluntarily seek out is what becomes our soul’s identity. 1. Pure joy. We’ve become jaded in the western world. We’ve seen it all, done it all, heard it all. Nothing can impress us because there just doesn’t seem to be anything new under the sun. Until you step foot in Patagonia, that is. Even the most weary and blasé among us cannot watch a guanaco walk along a mountain ridge as the sun sets without letting out a sigh of amazement. Returning from a trek in Patagonia will let you feel the little joys of life all the way down into your bones. 2. Patience. Sometimes the best thing you can do while trekking in Patagonia is wait. Sometimes it’s the only thing you can do. Wait for the sun to rise, wait for the rain to stop, wait for the clouds to clear, wait for the path to flatten out, wait for your mood to lighten, wait for your sunburn to stop hurting. Your patience will be tested and no matter how much you beg or plead, no matter how much money you have or don’t have, you will be reminded that patience in a virtue. Coming home you will be newly refreshed in the art of waiting, and knowing that what comes around the bend could be the most spectacular sight of your life. When trekking patience ultimately pays off - just around the bend could be the most beautiful sight of your life. 3. Appreciation. 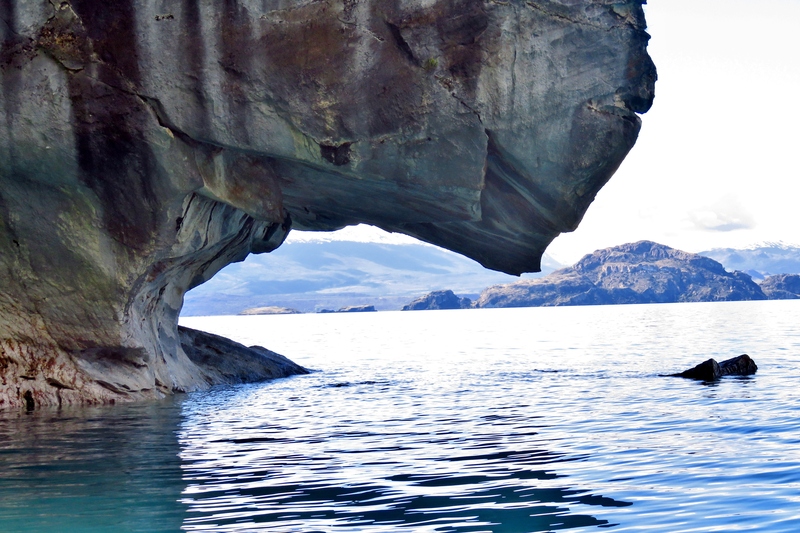 Your time in Patagonia will be filled with wonder from top to bottom. You will constantly feel as if your breath has been taken away and your soul has been quenched - as you watch a mighty condor circle, as you turn around a bend and see a craggy snow peaked mountain, as you taste the clean, babbling stream water. You will wonder if your heart can keep expanding to accept all the gratitude you feel for this experience and every person you meet along the way, and each day and with each step, you will be shocked and overwhelmed as it does. 4. Acceptance. Not everything is going to go your way while you’re down in Patagonia. Your tent will blow down into a ravine when you step away to the showers. Your boots will get muddy and wet. Your favorite waterproof jacket will rip 20 minutes into your journey. Your trail mix will get moldy. When you are miles and miles from civilization there just isn’t a thing you can do about it - so you either make adjustments and move on, or you risk wasting your experience in one of the most jaw-dropping places on earth. It’s difficult to feel anger over a small rip when you see the towers of Torres del Paine rise in front of you - your worries suddenly seem so trivial! Coming away from trekking in Patagonia will let you accept the things you cannot change so that you can be wowed by the things right in front of your face. 5. Determination. The going is going to get tough. Your bones will feel weary, your brain will feel fogged and your heart will feel heavy. But there is no escalator option in Patagonia. You’ve simply to put one foot in front of the other if you want to make it out. And each time you move your foot one more step forward you’ve proven to yourself that far beyond the trials and harshness of our land, back to your home and your job and your “real” life, you can push through to the other side. You CAN come out victorious. 6. Wonder. Leaving Patagonia will make you realize just how small your space in the world really is. You thought the world revolved around New York City or Berlin, or wherever you normally lay your head, but trekking in the unforgiving and vast lands of Patagonia will open your eyes to just how vast this world really is. When you see first hand how locals live, and how happy and content they are in their day to day life you will be further spurred to seek out new corners of the world so that your mind doesn’t form a small little square around your home city. Opening yourself up to the wonder of Patagonia will release you from your bubble to explore the wonders of the rest of the world. Our homeland isn’t for the faint of heart, and it isn’t for the close minded. We’re proud to hail from the wild and wonderfully beautiful Patagonia, and hope you will come here to experience our lands for yourself. Our people are filled with grit, our lands are home to foreign wanderers and our trees have borne witness to an uncountable number of deep and vast soul changes. Your life will be forever changed after your journey to Patagonia, and you will be forever grateful. For those seeking a daily reminder of their experiences, to never let go of the uplifting and life altering experience, take home a piece of Patagonia. Bring it with you into your daily life - use it as a conversation piece to spark the spirit of wonder in those you surround yourself with. And for those still waiting for the right time to come? This is your watch, too. This is your reminder that the best is yet to come, that your dreams will come to fruition and that your life is yours for the taking. It isn’t just a TTANTI, it’s a talisman of the adventure of your soul.